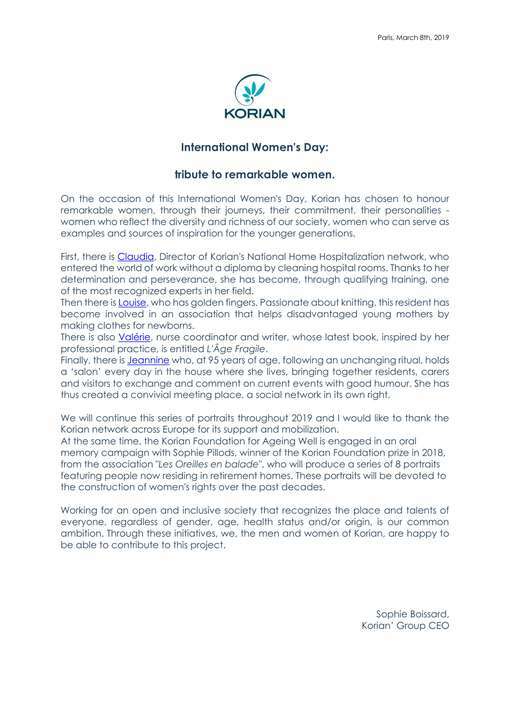 International Women's Day: tribute to remarkable women. 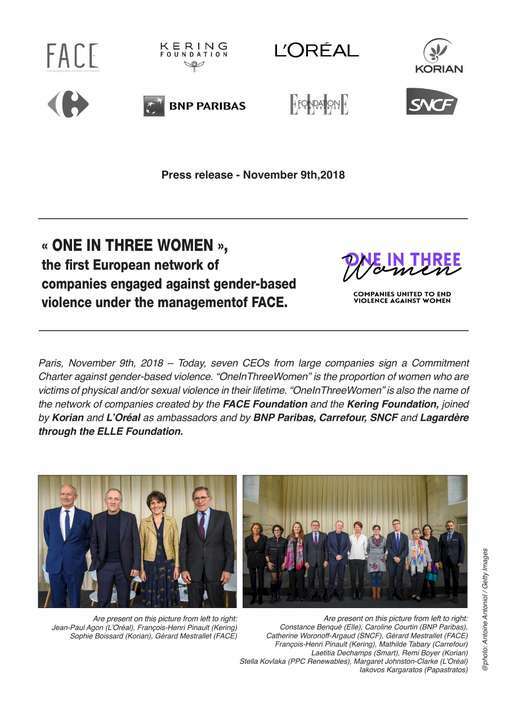 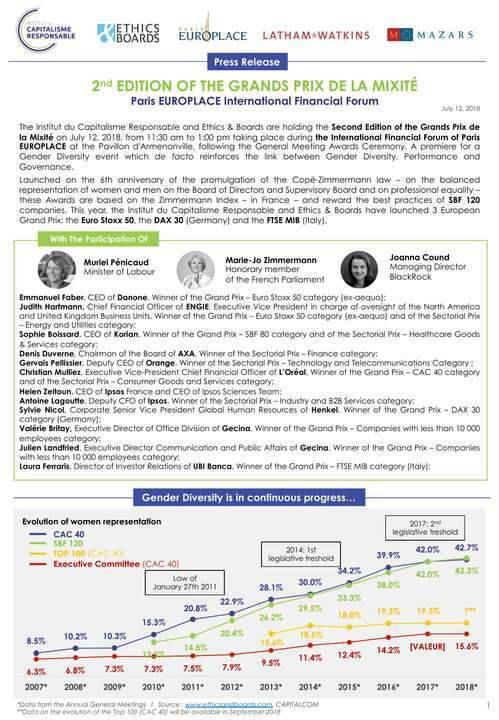 « ONE IN THREE WOMEN », the first European network of companies engaged against gender-based violence under the management of FACE. 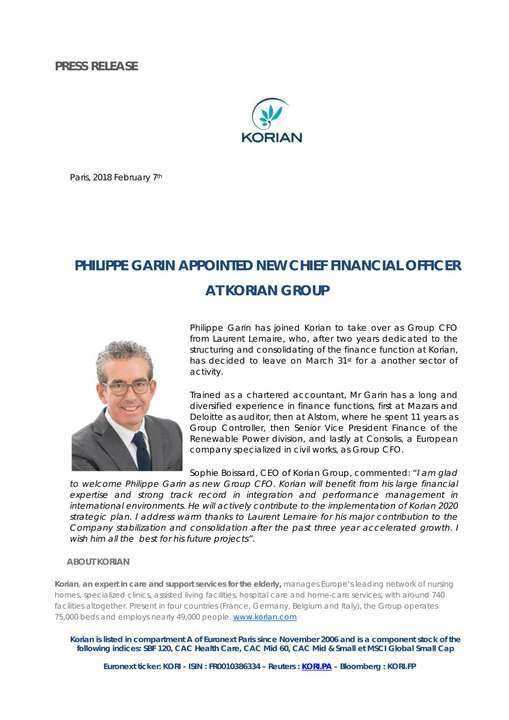 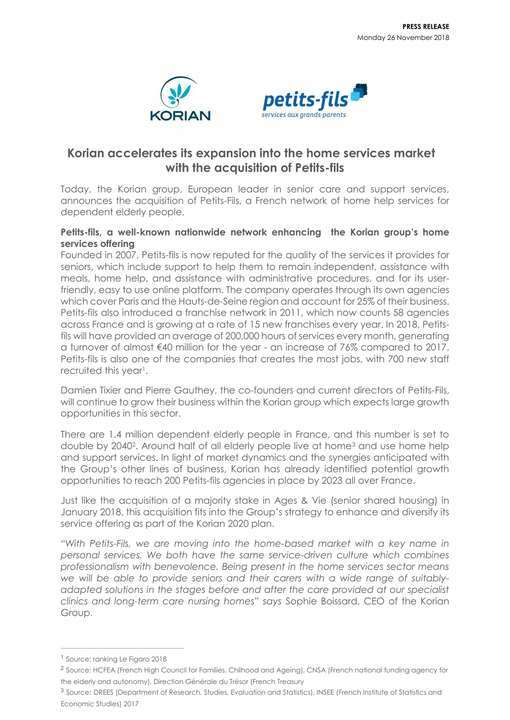 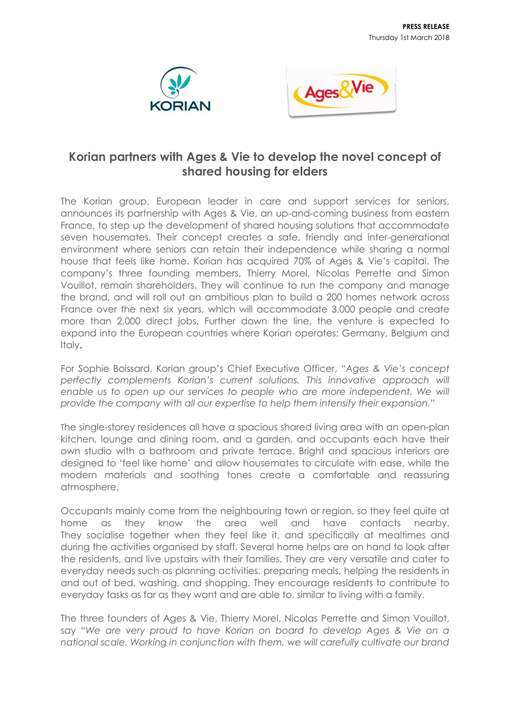 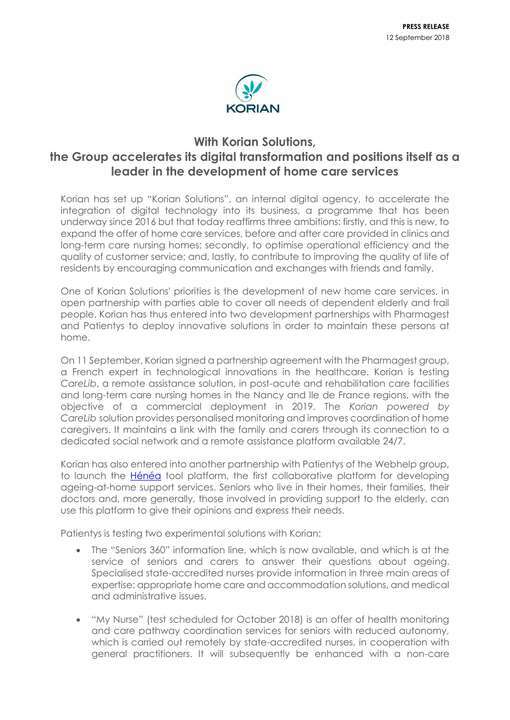 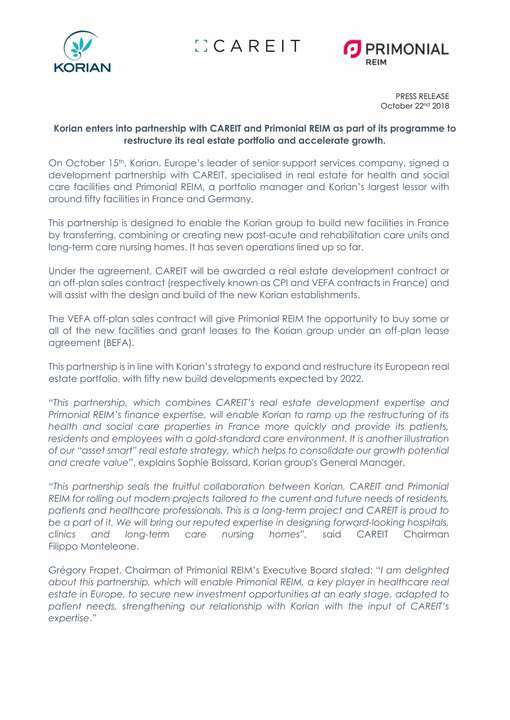 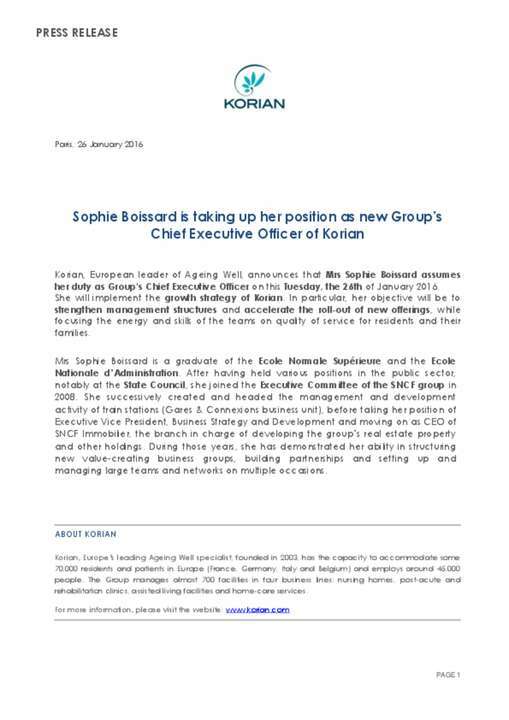 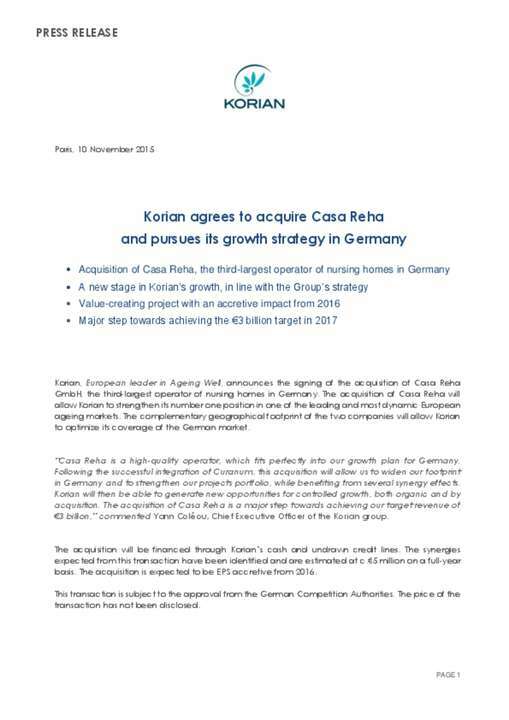 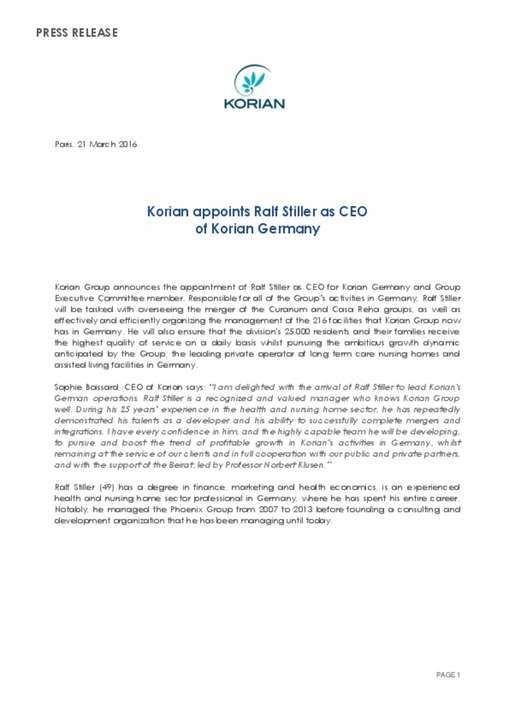 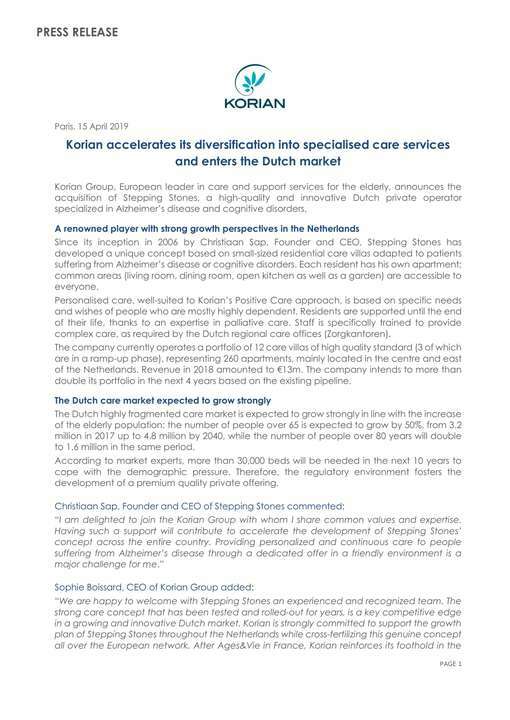 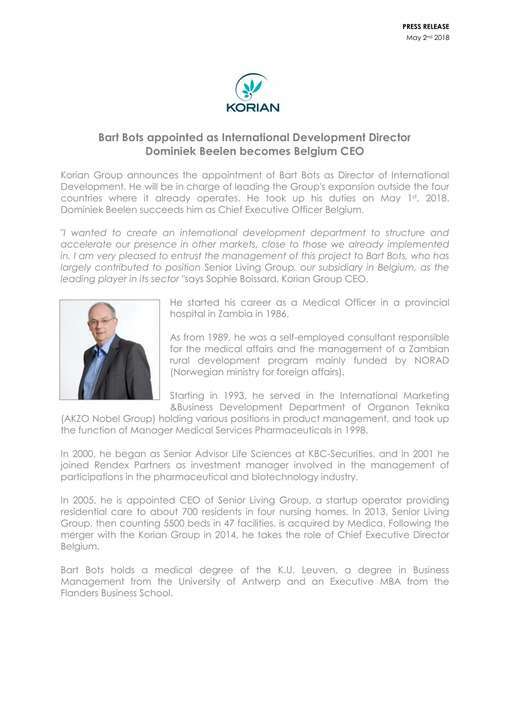 Korian enters into partnership with CAREIT and Primonial REIM as part of its programme to restructure its real estate portfolio and accelerate growth. 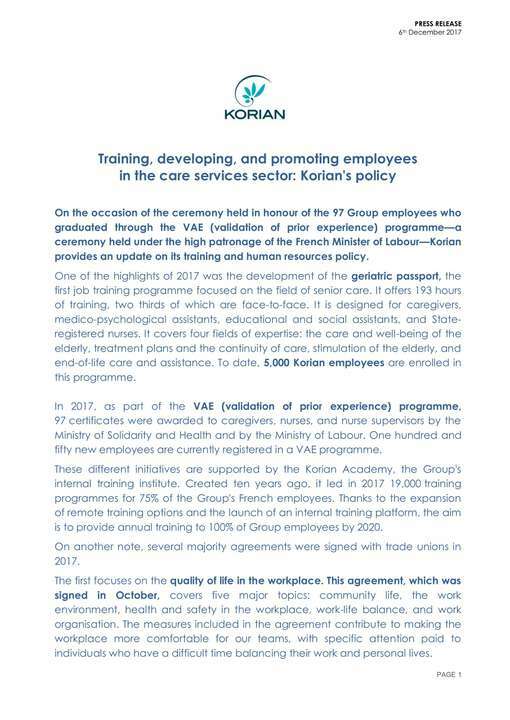 2nd edition of the national centenaries' day - IPSOS Observatory / Korian Group. 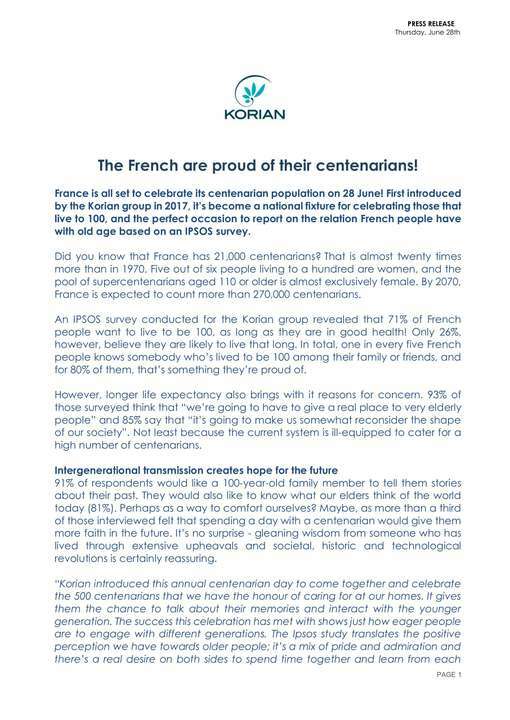 The French are proud of their centenarians! 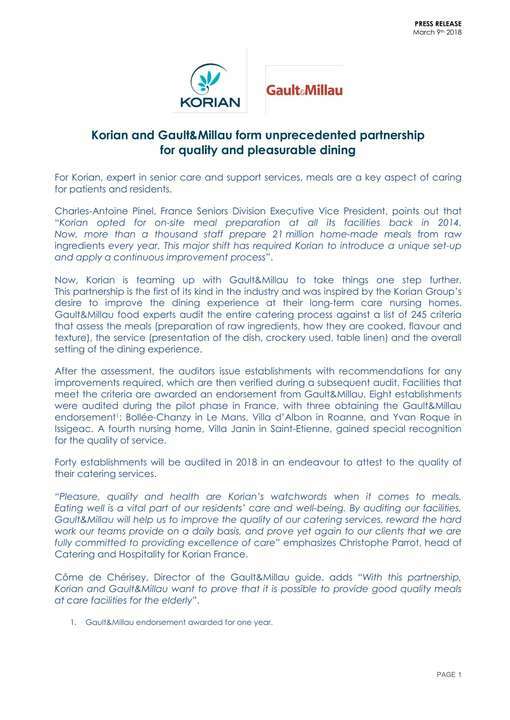 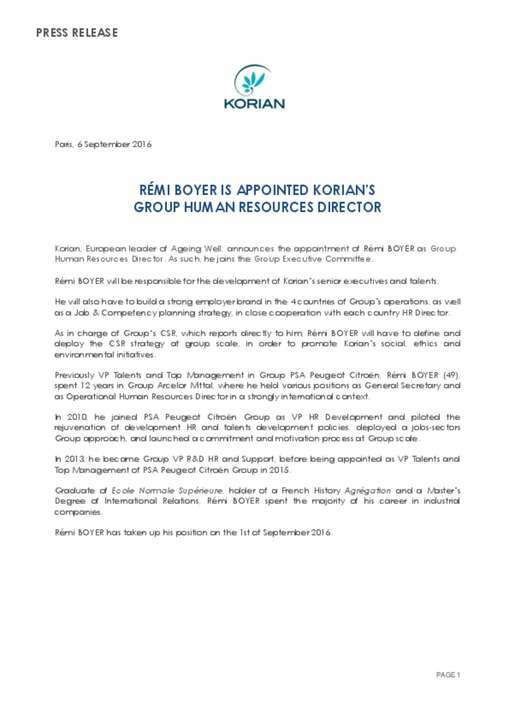 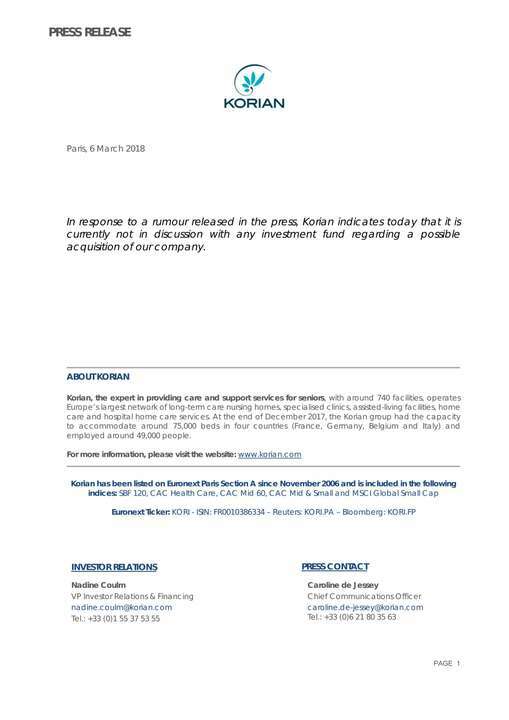 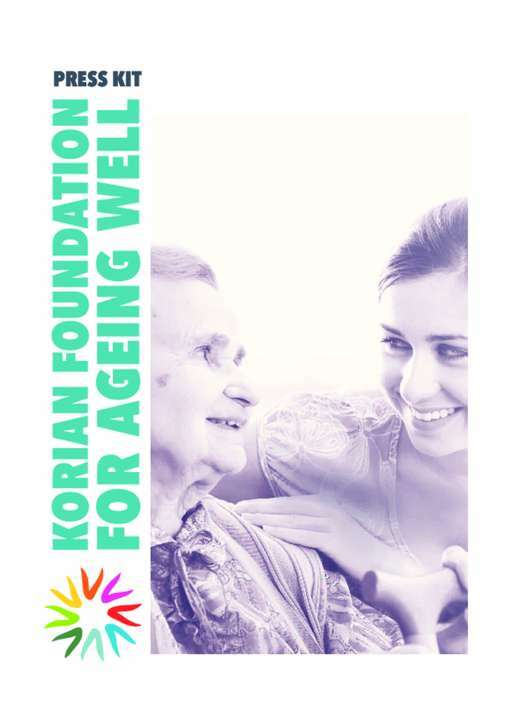 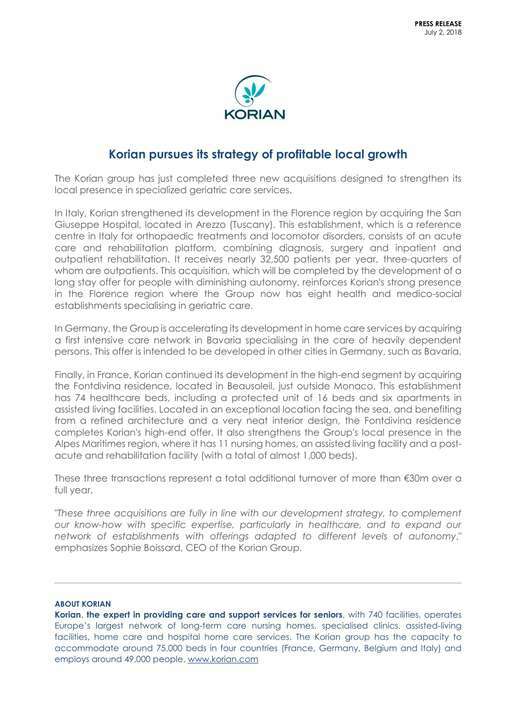 In response to a rumour released in the press, Korian indicates today that it is currently not in discussion with any investment fund regarding a possible acquisition of our company. 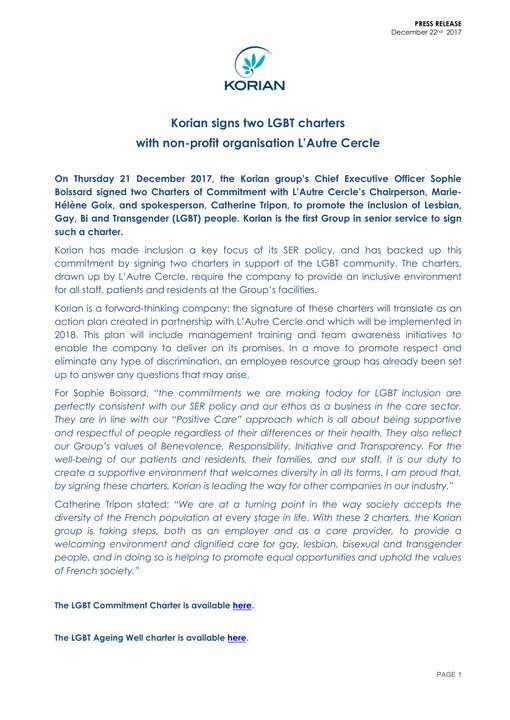 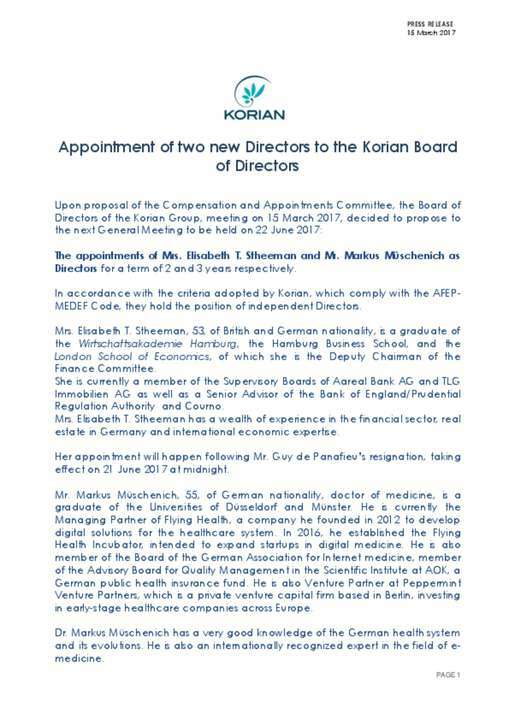 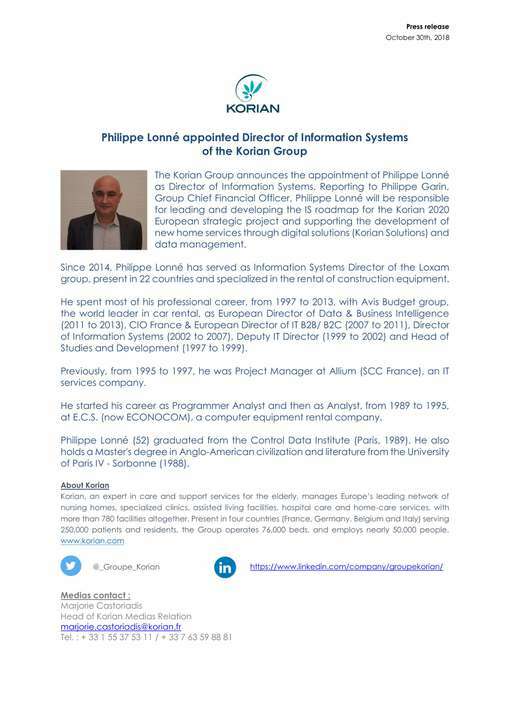 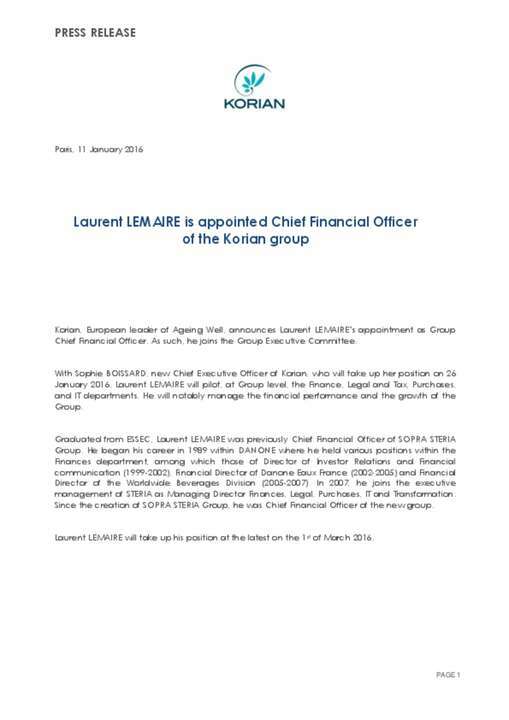 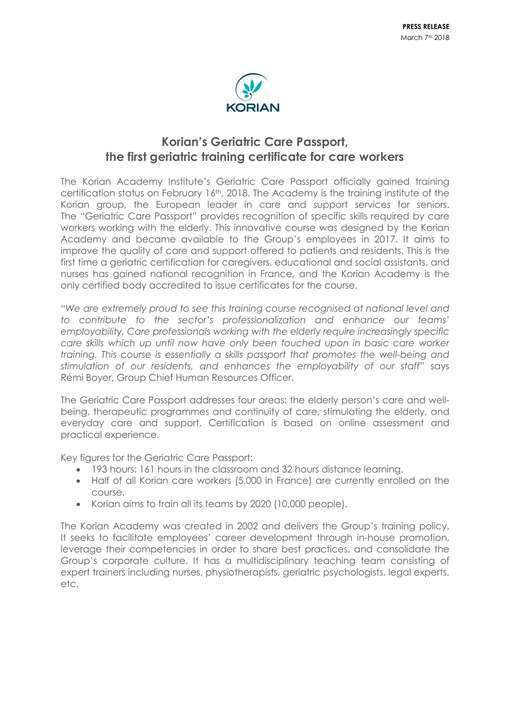 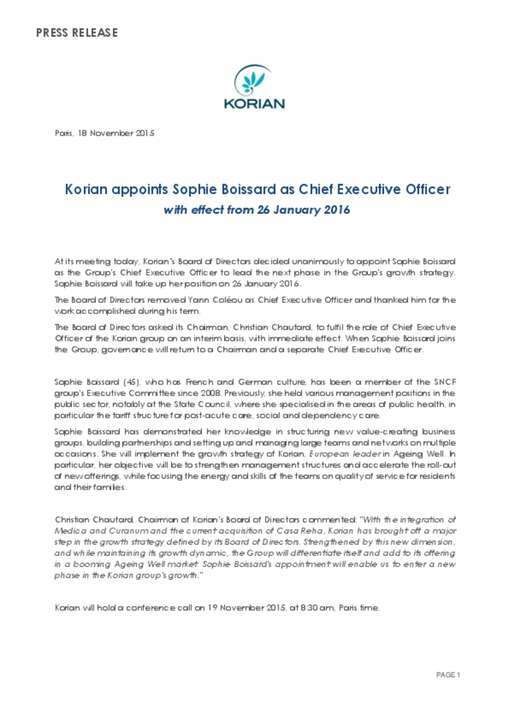 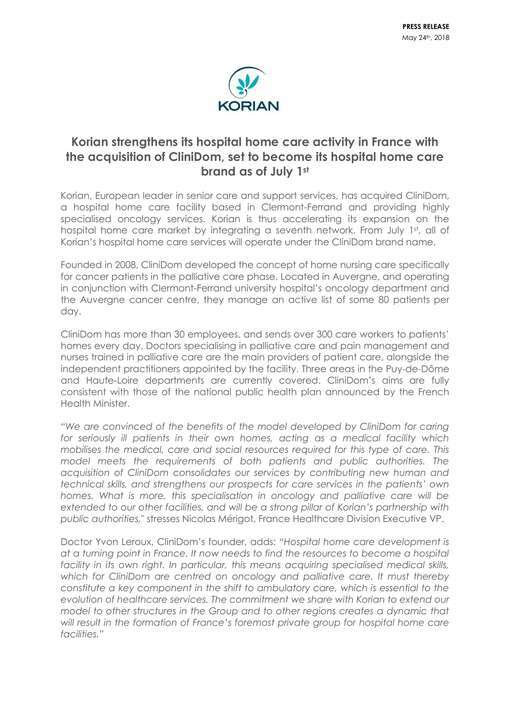 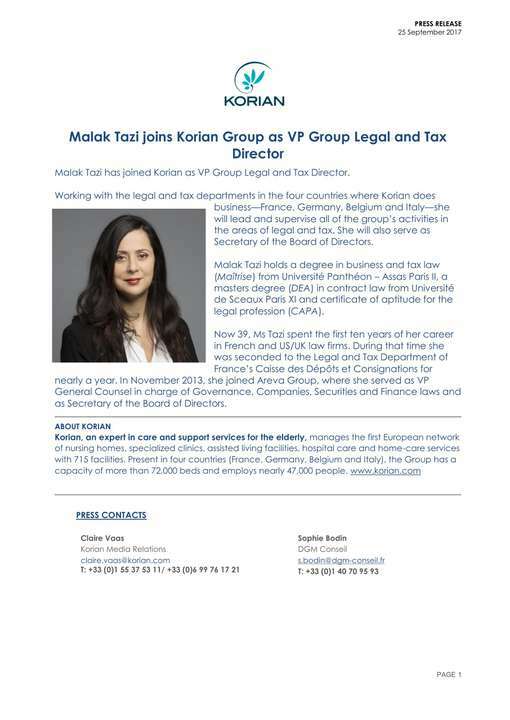 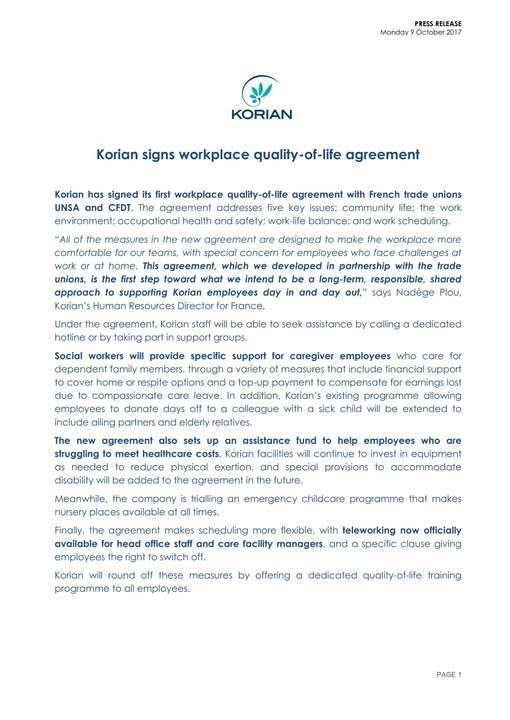 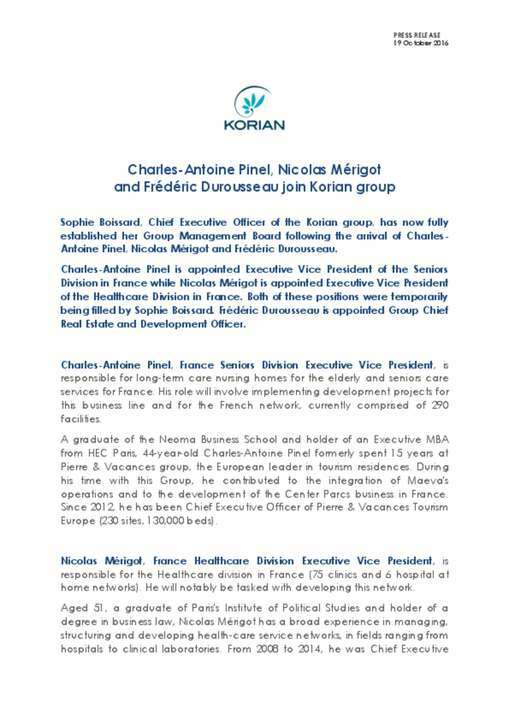 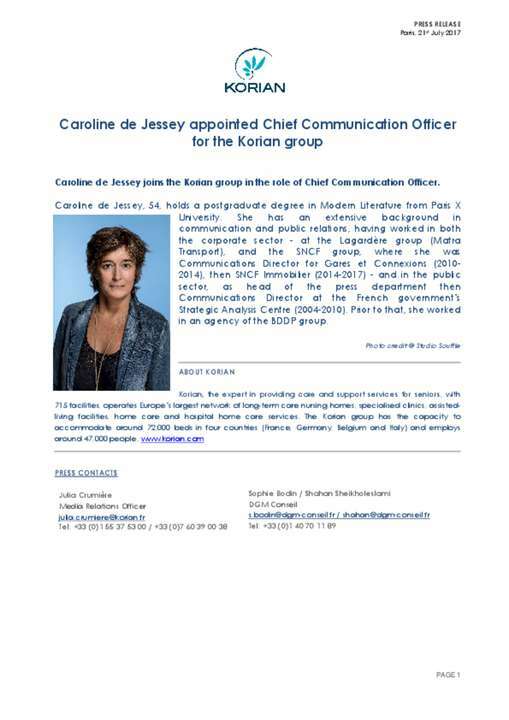 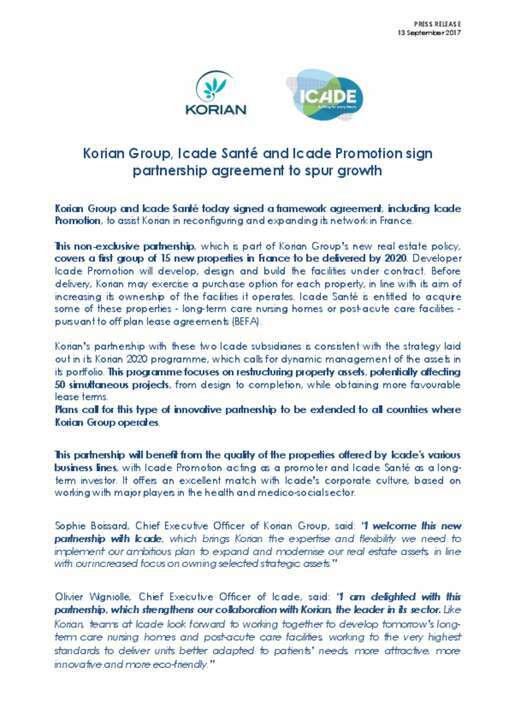 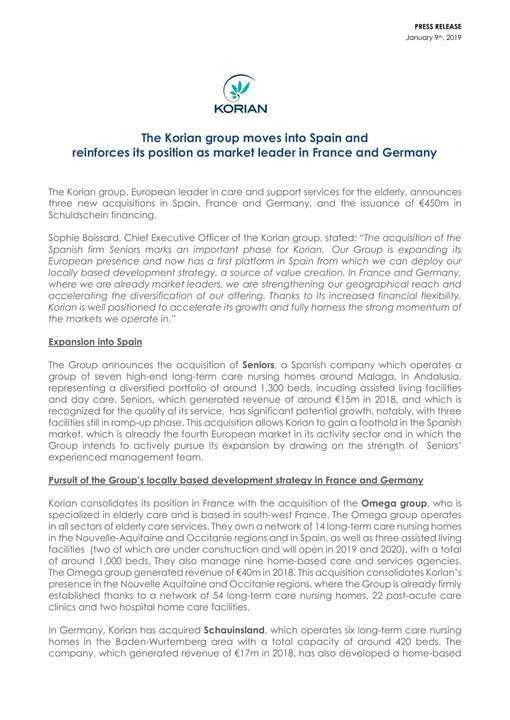 Korian Group and Icade Santé today signed a framework agreement, including Icade Promotion, to assist Korian in reconfiguring and expanding its network in France.